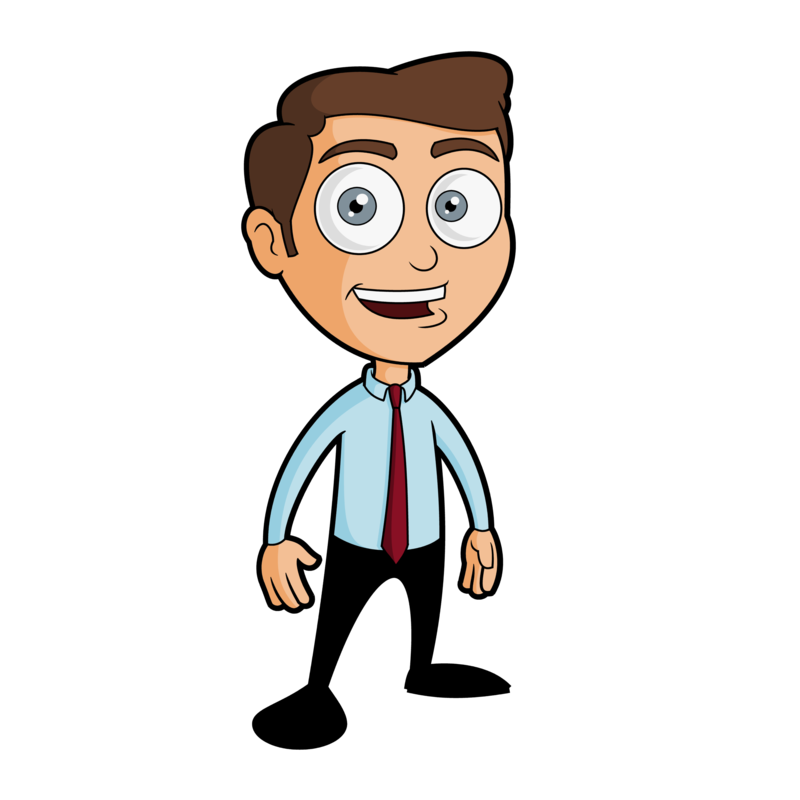 Business Man Cartoon Vector FREE. Every business needs a business man vector cartoon don’t they? How many times have you been on some businessy, corporate website and seen one of those little orange guys with a tie holding a giant pen? Or a cartoon of a business man holding up a canvas filled with commercial drivel? Lots is my guess. I come across these business vectors all the time. What I find particularly interesting (and I guess I’ve evidently fallen victim to this too) is that when you Google ‘business man vector’… there isn’t a single ethnic character on the first page of images. Not one. They’re all white. Are Google racist? Or do artists just prefer to draw white characters? I ask myself that question and I couldn’t really tell you why I decided to make this business man vector white instead of black or Asian or whatever. I’m certainly not racist. I think it just in-part comes down to being brainwashed by western culture. Even when you search ‘business cartoon character’… there are still zero black or ethnic cartoon characters on the first page. Of the 42 images that were displayed to me, just 10 were female. Does this say something about us as a society? Do corporates think that their customers would rather see white and predominantly male characters representing their companies than those of other ethnicities? Personally I find it quite shocking. And looking at my white business man, I feel like a bit of a sheep. D’oh! Generally my FREE cartoon vectors rank quite well on Google images. So next week, I’m going to upload a black business lady vector and see how she ranks amongst the others. It could be interesting. 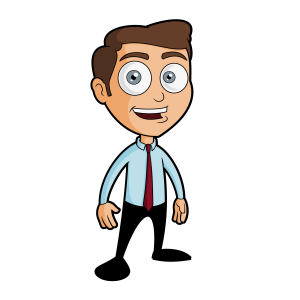 Anyway, you can download my free business man cartoon via the link below. It’s a zip file and contains the .eps vector file and the hi-res png. The vector is for personal use only. If you do wish to use this guy for your business, please email me and we’ll work out a generous deal :).